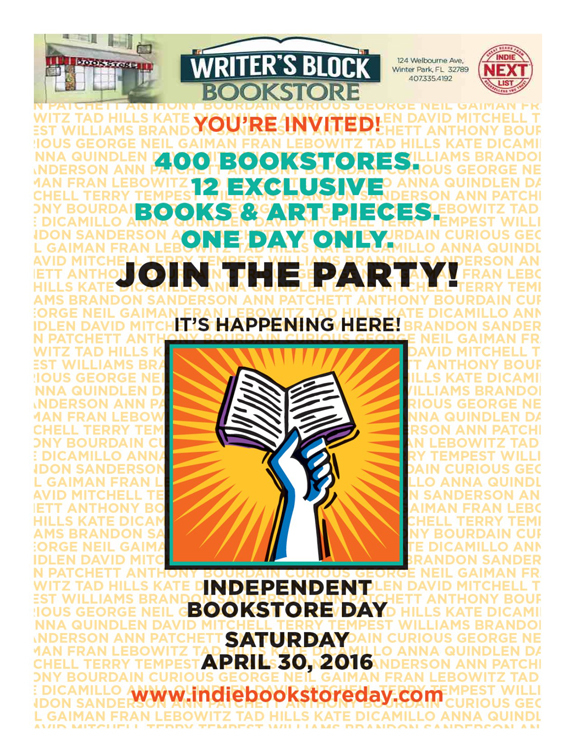 Independent Bookstore Day marks its second year of celebrating independent bookstores nationwide on April 30th, with literary parties around the country. Writer’s Block Bookstore will be celebrating with Advance Reader Copy giveaways for every $15 spent and an instore coupon scavenger hunt! Writer’ Block Bookstore will also offer exclusive day-of merchandise created especially for Independent Bookstore Day by major publishers and authors. Since its inception in 2014, more than 120 authors have demonstrated their support for independent bookstores by donating work for Bookstore Day.